However, with his first solo effort, 1980’s Blizzard of Ozz, Ozzy completely silenced the doubters. Even when the guitar world still feeling the tremors of EVH’s “Eruption,” Rhoads’ epic playing, killer riffs and heavily neo-classical-influenced solos on tracks such as “Crazy Train,” “Suicide Solution” and “Mr. Crowley” helped him stand apart from the crowd. His time with Osbourne might have pushed him into the mainstream, but it wasn’t Rhoads’ first gig. A part of Quiet Riot since 1975, recording two albums and clocking up hundreds of live performances, he already was a veteran of the hard rock scene. 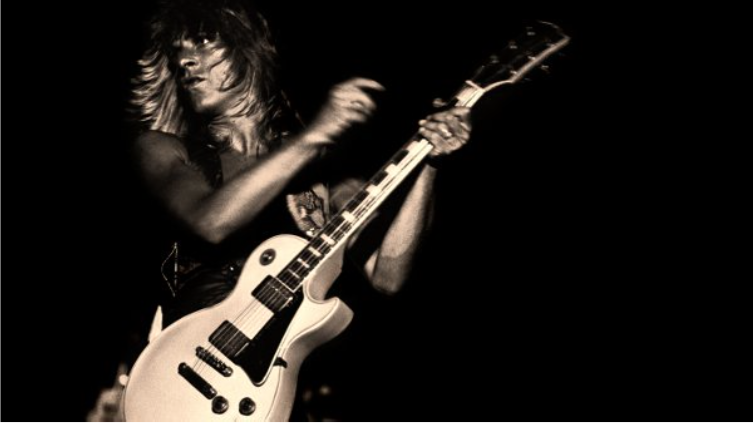 The video below shows Randy in action at one such performance from 1979, where he can be seen treating the audience to a monster unaccompanied guitar solo that highlights his unique meld of classical, fusion, jazz and hard rock influences.